Chroniclers are not unanimous as to his place of birth. Some say he was born at Kahotwal whereas others believe it to be Harat.however, his date of Birth is 19 Rabi-Ul-Anwal 592 Hijri. He was Syed from parents. His father was Syed Abul Rahim, was the grand son of Hazrat Ghaus-ul-Azam Sheikh Abdul Qadir Jilani and mother, Jamila Khatun, the elder sister of Baba Farid. According to the Gulzar-e-Sabri, he reached Pak pattan in 601 Hijri with his mother and Abu Qasim ‘Gurgani’ ‘In a craven after having traveled an arduous journey of eleven days. He was nine at the time. There he learnt the Arabic and Persian to a certain higher standard, acquired expertise in Analysis and Parsing, and completed the six or seven-year syllabus in a short period of two years. His mother left him in the care of his brother and returned to Harat. She, however, said to her brother on the departure, “My son is extremely shy and quiet; would never say or demand anything. Take care of his food.” Baba Farid promised. Thinking that lest Hazrat Makhdoom should feel shy or cautious, remain hungry sometimes, or that he should get food without asking entrusted him the duty of the distribution of food to the people. This was also to train him mentally and practically. He joy-fully accepted the appointment, distributed food two times a day, in between engaged in prayers, but after the evening prayers he attended to the discourses of Baba Farid. He dispensed with his duties well; did not partake a single morsel form the langar, kept fasts, and when had nothing to break them in the evenings, would go to the jungle and ate wild berries and fruits. He did his duties for 12 years. Frequent and continuous fasting made him weak. When his mother came and saw him, she complained to his brother of her son’s weakness and alleged that he had kept him hungry. Baba Farid replied, “I appointed him the administration of the langar” Then said to him, “why did you not eat from it?” Hazrat Makhdoom replied, “you ordered me to distribute the food and not to partake from it.” His reply surprised all. Baba Farid remarked. “He is Sabir (patient). God has not created him to eat.” Later the word became a part of his name. He continuously prayed and his abolition was never disrupted. Continuous fasting made him weak and famished. Tazkaratul Aulia-Hind mentions that Baba Farid, his maternal uncle, admitted him to the Order and sought his pledge of obedience in 623 Hijri. Hazrat Makhdoom said. “How can he accommodate two in my heart? I have already it to one.” As he uttered the words a fire burned the bride to ashes. Teachers, Baba Farid, led him out of his room one day and made him sit in an open place. Hazrat Nizam Uddin who was not bestowed upon the rank of the spiritual heir attended the ceremony. 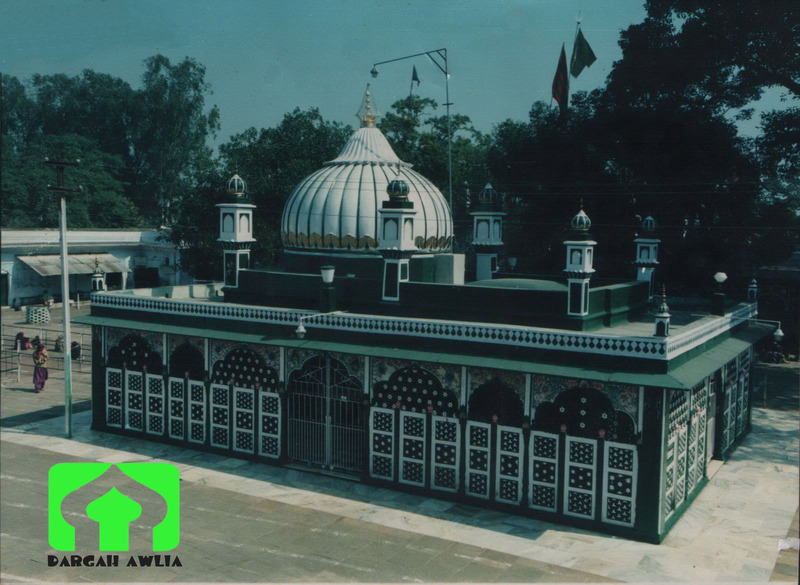 Baba Farid put a green turban on his head and taught him the secret ism-e-azam drawn in the Order by word of mouth, and asked him to select a place to serve Him as a center for the movement of the spread of Islam. He preferred Delhi. Baba further gave him role of the heir and wrote the letter of sainthood in his own hand and instructed him to show it Sheikh Jamal Uddin resident of Hansi and the bearer of Baba Farid’s stamp. Accordingly Makhdoom Sabir presented himself to Sheikh Jamal Uddin. Both disagreed each other. As a result he was denied Delhi and so moved to Kalahari. The theologians of Kalahari were unaware of his rank among the mystics and started opposing him and treated his followers badly. Once he along with his followers went to say the Junia prayer to the Jama Majid and sat in the front row. Thereafter came the theologians and told him to vacate the place, as it was not suitable for him. His followers refused to move away. The theologians turned violent. Hazrat Sabir raised his head and said that the saint was only entitled to sit there. They demanded proof of his being the saint. He replied the proof was there. They would all die and the city is ruined completely. Saying this he went out of the mosque. The building of the mosque not only collapsed and killed all under it but also a disease struck the city and destroyed it completely. He stayed on a mound near the ruins of the Kalahari and used to say that loneliness was better than habitation. He was taciturn by nature and engaged himself whole heartily in prayer and meditation. His awe some ness was such as no man could stand to it. He was absorbed beyond description. He stood holding the branch of a goolar tree for 12 years waiting for the revelation of godly presence. The body dried up became thin, and immovable. Only eyes worked until at last he realized the Supreme Being. Baba Farid’s inner powers revealed to him Makhdoom Sabir’s state so he sent one of his trusted disciples, Khawaja Shamsuddin Turk, to serve him in the wilderness. He directed him not to go before him but serve him form behind his back. Khawaja Shamsuddin Turk was the most distinguished spiritual heir of Sabir Kalahari, served such an awesome man for 24 years and never left him. When grew knowledgeable of intrinsic learning and heart illuminated of Divinity, his teacher ordered him to enlist himself into the royal army and bring about reformation among the soldiers. “Whenever your wish is granted understand I am dead”. Under the orders of the teacher Shamsuddin Turk joined the royal army. Once Sultan Ala-Uddin Khilji invaded Chittor but the fort could not be won. Continuous seige of Chittor annoyed the Sultan. He therefore approached Shams-Uddin Turk to pray to God for the victory. He prayed and the Sultan won it. The moment Hazrat Shamsuddin Turk’s prayer was granted. Hazrat Makhdoom Sabir Kalahari left for his heavenly abode (on 13, Rabi-ul-Awwal 690 Hijri). His tomb stands at Kalahari in the district of Saharanpur. People, irrespective caste and creed, attend to pay their token of love and devotion. It is said in the book ‘Hadiqat-ul-Aulia’ that Makhdoom Sabir Kalahari one Friday, went to the Jama Majid to say his Juma prayer and sat besides the Imam’s prayer mat. When others came they said the place was for the Qazi and he must vacate it. He said,” I am the Qutab and the Qutab is senior to the Qazi.” People mocked at him and removed him from the place forcibly. When all stood to say the prayer and that he had none to occupy, he addressed the mosque, “0, mosque! All people prostrate, Why don’t you?” With these words the mosque along with roof, and walls, collapsed and the people died under the debris. He was a good poet; wrote under poetic name ‘Sabir’. In the state of extreme absorption he composed profound couplets on divine subjects which his disciple Shamsuddin Turk learnt by heart. Later, he edited the verses into a Persian works. He spent a larger period of his life in awesome ness but the presence of Shamsuddin Turk mellowed him considerably. Later, he preached and attracted people towards Islam. His influence was not only confined to the territory of Kalahari but people from far and near approached him for guidance. Shariah is wonderful, draws one from presence to intimacy. The beggar, who visits the rich, is hypocrite. If desire greatness, be simple and truthful. The guide should have the ability to correct the weakness of the seeker of truth. Renunciation means to renounce the undesirable activities. Illiterate and greedy mystic is Satan’s clown.